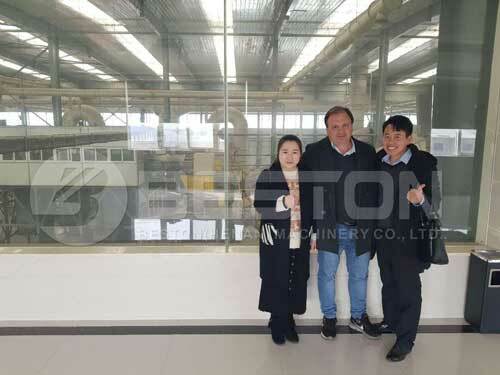 To realize fully recycling of garbage, Beston Machinery has developed the garbage recycling plant for sale, which can be also called garbage sorting machine or garbage separation machine. 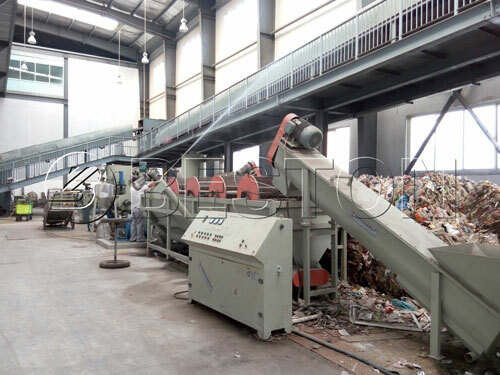 The plant has adopted various garbage sorting methods, through which the garbage can be divided into several parts and further processed into useful resources. Through a series of garbage sorting process by the garbage recycling plant, the garbage can be successfully separated into different parts, including organic matters, inorganic matters, combustible substances, etc. Each of the final products obtained from the garbage recycling equipment has a wide range of applications and can be further processed into renewable resources. The broken glasses and construction materials such as dust, earth, sand, stone, etc. can be made into bricks. The bricks can be used for building industry. The tree leaves, grass, fruit shells, wood, sawdust, and many other biomass materials can be dried, crushed and carbonized by charcoal making machine, to produce charcoal powder. The powder can be further processed into briquettes, which can be widely used in many areas, such as BBQ, etc. The organic waste can be sent to the fermentation system to generate biogas. The biogas is usually used to generate electricity. The food remaining can be processed by organic fertilizer line for anaerobic fermentation and composting. The PET bottles can be crushed, cleaned and processed into plastic granules by related recycling machine, and the plastic granules can be used for making new plastic products; besides, the PET bottles also can be processed into flakes, and then processed into fibers, which can be used for producing clothes, pillow inner, bolster, etc. The plastic waste can be packed by hydraulic packing machine and sold directly; besides, the plastic materials including PP, PE, PS, ABS and some rubber materials can be converted into fuel oil and carbon black by pyrolysis equipment. Both of the final products can be sold directly or applied to many areas. Contact us for detailed info. The other combustible substances such as rubber, shoe, etc. can be made into RDF for gasification generator. 5. Your budget for the garbage recycling machine. What are the factors that influence the garbage recycling plant cost? There are many factors that influence the cost of garbage recycling equipment. I will simply introduce several of them. If you want a detailed cost analysis of the garbage recycling machine, please contact us privately. 1. The waste recycling machine price: it is the most important factor to influence the cost of garbage recycling plant. We can promise that the waste segregation machine manufactured by Beston has the highest quality but the lowest prices. Moreover, we can help you to get financial support from your government. Last year, we have successfully helped our Uzbekistan customers get great support from the local government, and the plant has been successfully installed now. 2. The charge of manual: we have equipped four manual sorting platforms with the plant. But the other steps are all automatic and mechanized, so the charge of manual is necessary but quite low. 3. The cost of raw materials: the materials for garbage processing plant are usually municipal solid waste, construction waste, household waste and so on. These materials are common and rich in our daily life, which determines the low cost of production. 4. The cost of occupied space: different models have different sizes of occupied space. 1. The other production costs: such as the cost of electricity, depreciation, maintenance, etc. We can promise that our machine has lower failing rate, to ensure a high-quality and durable machine for you. 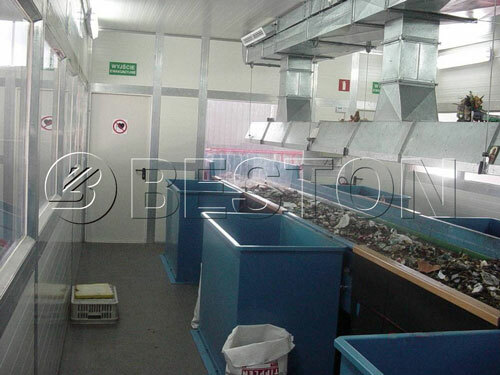 Nowadays, Beston Group developed various kinds of waste recycling plans to deal with different waste materials, such as pyrolysis plant for converting plastic/rubber/tyre into fuel oil and carbon black, carbonization machine for making charcoal from biomass, distillation plant for recycling of waste oil into diesel or gasoline, etc. But first of all, we need the waste sorting machine to separate the waste mixture into different parts, and then we can take measures to further process the waste. Therefore, the garbage recycling plant is an important environmental project and waste management plant. It should be installed in every city, to create a cleaner, brighter and better future for the next generation. 5. For each set of the machine, one technician will be sent to guide your installation, test the machine and train your workers. Besides, we will provide one month’s service for free. If you are interested in gabage recycling and plan to invest in garbage recycling plant in your place. No matter where you are from, you can rely on Beston Group and the quality plant of us. You can also leave your message to us freely.